“Norwegian Wood” was released in the nascent years of psychedelic music, and, if not for a fortuitous sitar, this hit from Rubber Soul would not be psychedelic at all. It’s creation would still be interesting, but it wouldn’t be psychedelic. John Lennon was the primary writer for this piece despite the co-writing Lennon/McCartney label. He sites Bob Dylan as a big influence on the song. The verses are Dylan-esque, concentrating on an acoustic guitar driven melody and vocals that follow the rhythm. 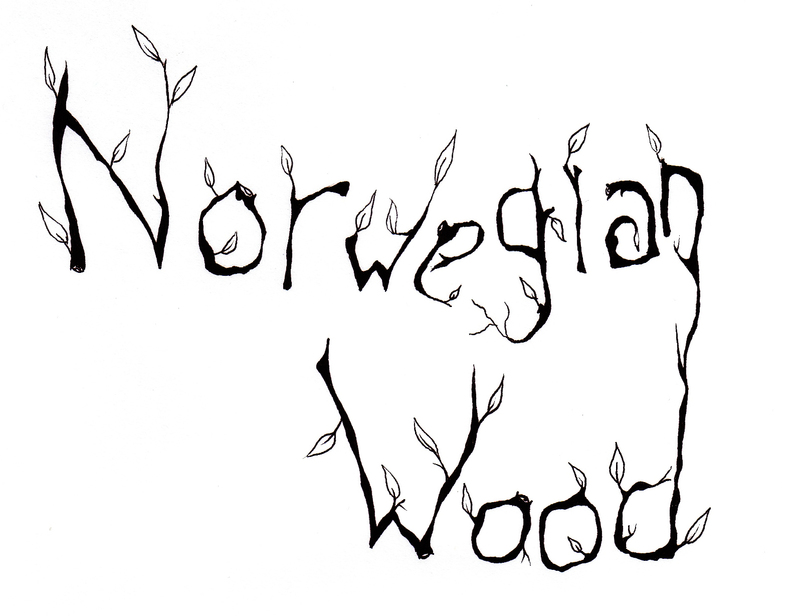 “Norwegian Wood” is about extramarital flings, and Lennon actually wrote it while on vacation with his wife. “Honey can you play me the new song.” Pretty dumb move on the part of Lennon, though he attempted to be subtle. The song’s creation is all well and good, but for the purpose of this post we must talk about the impact by George Harrison, who is the reason this song has a sitar and is psychedelic. According to Harrison, he was inspired by Indian musicians on the scene of The Beatles‘ movie Help to start messing around with a sitar. This turned into a more substantial interest when he bought a Ravi Shankar record and purchased a cheap sitar in London. He had it with him during the recording of “Norwegian Wood,” and, you know what they say, the rest is history. The sitar is very coordinated, and Harrison did not have the mastery to freestyle with the sitar, which would have made the song more experimental and psychedelic. But, it still maintains a hint of that psychedelic quality and that makes the song certainly worth the mention. I have not seen it and will certainly watch it. Thanks for the comment and suggestion!